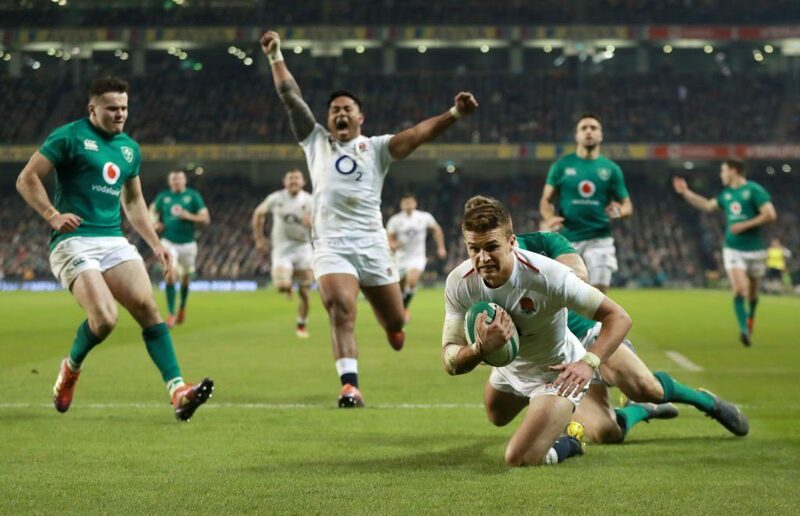 England produced a physical and clinical performance to claim a stunning 32-20 win over Ireland in Dublin on Saturday. CRAIG LEWIS reports. 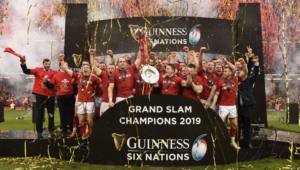 At the end of 2018, Ireland were named as World Rugby’s Team of the Year, having achieved the Grand Slam in the Six Nations, a series win over Australia and a famous victory against the All Blacks. In that context, this result is a major upset, and serves as a definitive statement that England remain a real world force to be reckoned with after a horror Six Nations campaign last year. England made a dream start to the encounter when some superb phase play eventually led to Jonny May being put away to score before two minutes of action had elapsed. It marked a blistering start to a highly-anticipated clash that certainly lived up to its heavyweight billing during the opening exchanges. Ireland quickly worked their way into the contest, and would earn a penalty that was duly slotted by Johnny Sexton, while England then saw flanker Tom Curry sent to the sin bin for a late shoulder charge. England’s defence impressively stood firm until the 25th minute when Ireland prop Cian Healy barged his way over the tryline to hand the hosts a deserved lead at that point. Almost from nowhere, though, England received a gift from Ireland when an error from Jacob Stockdale enabled Elliot Daly to pounce on a loose ball for a crucial try that sent the visitors into a four-point lead. With the final play of the half, England looked to have extended that advantage when Mako Vunipola grounded the ball over the line, but the try was ultimately ruled out due to a double movement. Nevertheless, England were playing under advantage, with Owen Farrell slotting a penalty to make it 17-10 at the break. 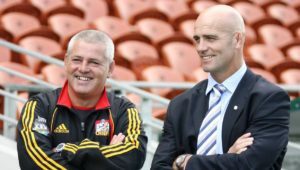 In a third quarter where England clinically looked to deprive Ireland of possession, the only points came via the boot of Sexton, who slotted his second penalty to reduce the deficit to four. 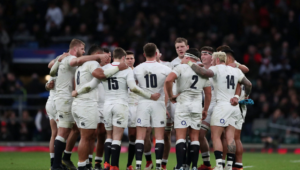 However, England then delivered a decisive blow when May broke away down the left touchline and put in a kick ahead, with Henry Slade chasing it down to collect and score. 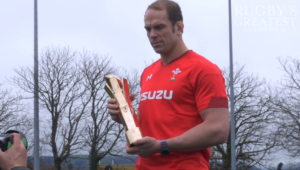 Suddenly, at the 67th minute, Eddie Jones’ men led by a handy nine-point margin. Farrell added another penalty soon after, while England then delivered the coup de grâce when Slade superbly snapped up an intercept to claim his brace and send his side into celebrations, despite a late consolation try to Irish replacement John Cooney. Ireland – Tries: Cian Healy, John Cooney. Conversions: Johnny Sexton (2). Penalties: Sexton (2). England – Tries: Jonny May, Elliot Daly, Henry Slade (2). Conversions: Owen Farrell (3). Penalties: Farrell (2). Ireland – 15 Robbie Henshaw, 14 Keith Earls, 13 Garry Ringrose, 12 Bundee Aki, 11 Jacob Stockdale, 10 Johnny Sexton, 9 Conor Murray, 8 CJ Stander, 7 Josh van der Flier, 6 Peter O’Mahony, 5 James Ryan, 4 Devin Toner, 3 Tadhg Furlong, 2 Rory Best (c), 1 Cian Healy.